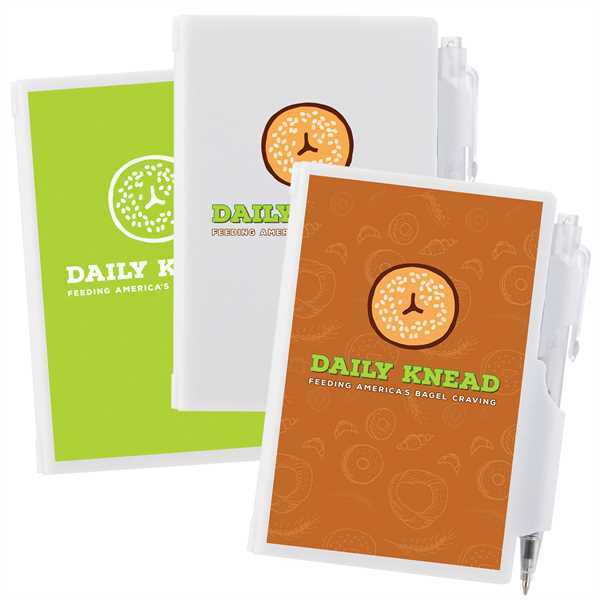 Your full-color imprint will look great on the plastic case on this handy notepad with plastic cover. Inside, you'll find a 120-sheet pad of unlined bright white paper, measuring 2-1/2" x 4". This product also includes a push button retractable ballpoint pen that is conveniently stored to hold the pad closed. Size: 4.2 " x 3.14 " x .5 "